We are reckoned as one of the distinguished suppliers of optimum quality Drilling Equipment. The o.. 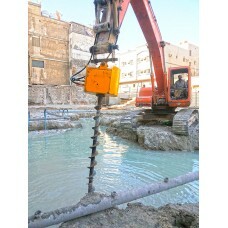 Heavy duty drill machine used extensively for construction tasks. 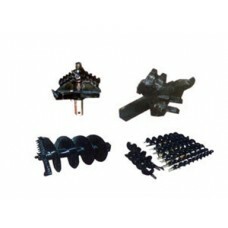 Readily fitted as an attachment ..
We offer wide range of Drilling Machine & Equpiments, which are a used for drilling that are equipped with winder, wire ropes as well as sheaves. These cranes are used to lift and shift materials as well as in moving them horizontally. We offer a varied range of Drilling Machine for our clients with different weight bearing and functional capacities at the most affordable prices. RACORS well point drilling machine and equipment are available in the Middle East, UAE, Kuwait, Dubai , Bahrain, Bangladesh, Brazil, Sri Lanka, Taiwan, Ethiopia, Greece, Indonesia, Iraq, Kazakhstan, Kenya, South Korea, Malaysia, Nepal, Nigeria, Philippines, Qatar, Saudi Arabia, Singapore, Vietnam, South Africa, Thailand, United Arab Emirates, Turkey, Uganda, Egypt, Tanzania, Zambia, United Kingdom, United States of America, China, Poland, Brunei and Oman.